My boys recently got some very cool watches to review. We received two Tikkers watches and a Mr Men Mr Strong Gift Watch Gift Set. 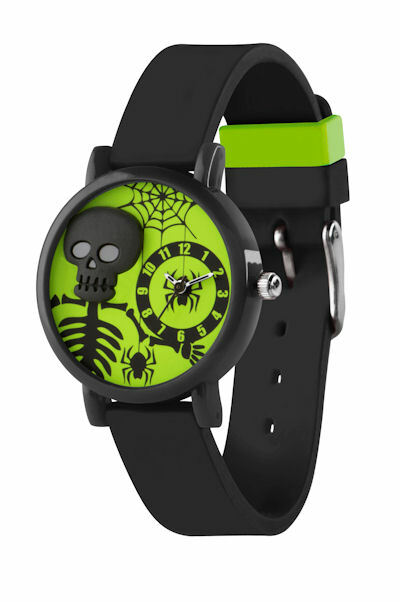 The Tikkers watches are amazingly boyish with the bright skulls and suit my boys down to a tee. Tikkers and Mr Men Watches can be found in Debehhans, H Samuel, Bentalls Kingston, Fenwich Newcastle and John Lewis. Littlest and elder wanted a more grown up watch, but middler is still struggling with time and wanted a watch that he could show off at his school. The Mr Strong watch is much more sturdy than I expected and even fits my adult wrist which is always good for growing room. The Tikkers watches are fabulous. The straps are fairly thick rubber with good quality fastening and they feel solid. Again, there is plenty of wrist growing room in the well made strap. Choose from one of these watches if you are selected as the winner. The winner will be drawn by random generator on the 14th December 2013. The competition closes at midnight on the 13th December 2013. Open to UK Mainland Entrants only. The prize will be delivered to you and you must give us your address to send it to you. Winners will be notified within 3 days of giveaway end. If the winner does not respond within 7 days, a new winner will be drawn. The winner will be chosen by Rafflecopter random generator. Scottish Mum Blog reserves the right to amend, add or withdraw this giveaway at any time. Each entry method entitles you to one entry into the draw. You may tweet daily. Each tweet counts as a rafflecopter entry, only if you enter it into the rafflecopter widget daily. The prize will be for one childrens watch, either a Tikker or a Mr Men Watch Gift Set. The winner chooses which option. 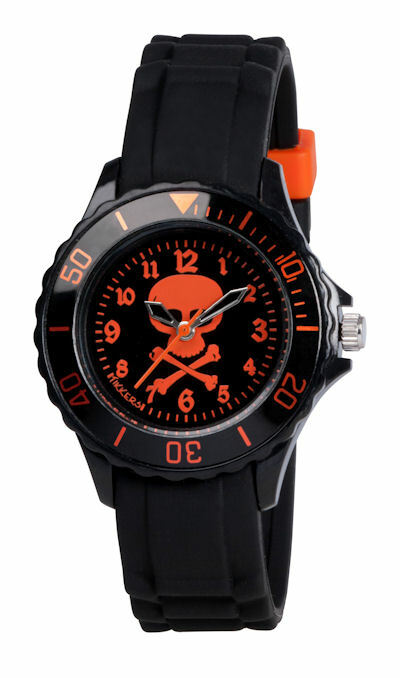 The tikkers watch, my son would love that! THe orange Tikker one, but either would be nice! I would definitely choose the Tikkers watch. I know my daughter would love the Mr men one! Apologies to those who have emailed after finding comments not working. I have kept your emails as proof of comment entry. Please ensure you have checked the rafflecopter widget and if you win, I can match those up to your email addresses. Comments are now working again.